Dr.Malpani's Blog: Why are Indian doctors such bad businessmen ? I know lots of doctors, but most of them are not very good at handling money. The fact that they got into medical college means they are bright and must have been in the top of their class, but most of them have very little business sense. Why is this so ? Even though every clinic is a small business, most doctors have no exposure or training in business management . While they are very hard working and intelligent, they are often not good at managing other people or building teams. Sadly, most of them are not willing to learn . One of the occupational hazards of being a doctor is that because they did so well academically, many of them they think they know it all , and cannot be taught anything. How sadly mistaken they are ! If you do not know what you do not know, how will you ever learn new stuff ? Most doctors do not have role models they can emulate. Doctors are often intensely political and competitive. They are secretive and not willing to share what they have learnt with their colleagues - which means that most doctors have to make their own mistakes in order to get ahead. Most doctors are in solo practise, which means they are stuck thinking small most of their lives. In their first decade of practise, they are so busy trying to attract patients, they they often lose sight of the big picture. By the time they become more mature, they are already ready to retire ! Sadly, giving cuts has become the norm today and most doctors are so used to taking shortcuts in order to build their practise, that they lose sight of basic customer service principles. This means that rather than spend time and energy keeping their patients happy, they waste a lot of it networking with colleagues who refer patients to them . Because these colleagues think the same way they do, there is very little attention paid to growing the business ethically. Some senior doctors take a perverse pride in the fact that they are not interested in earning money ! They consider medicine to be a service profession and feel that earning money is below their dignity . They will often look down ( or pretend to do so ) upon doctors who are richer than they are. Most doctors do not use technology cleverly. While they are often aware of the latest gadget and gizmo in their own specialty, they are often not smart enough to use technology for managing their clinic , growing their practise or marketing themselves. Many are woefully financially naive. When they first start practise, they are so used to working for free that they do not think about paying themselves at all ! When they start their clinic, they treat the clinic's income as their personal income. However, this is actually the income of their business - they should only be paying themselves a salary as a CEO. The clinic should be profitable enough to pay them a salary and should be able to run without their presence ! 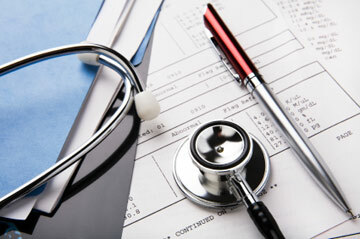 Most doctors are so busy working in their practise , that they fail to work on their practise ! Doctors do not learn to leverage their strengths; and because they are so busy competing with each other , they do not learn to cooperate and grow the pie for their profession. They fritter away the goodwill they have earned from their patients on personal gratification. Sadly, the leaders of the profession are intensely political , and because they are so focussed on looking only after their personal selfish interests, they do little for the profession as a whole. By the time they are senior and are capable of looking at the big picture, they are thinking about retiring ! Most doctors are good at what they do, which is taking care of their patients . While this is good for their personal wellbeing, it's not good for the profession, which lacks leaders who can provide wise counsel for their colleagues and peers. a very thoughtful article... on which, I would like to ask, as to doctors, who are really interested in doing service are often the ones, though satisfied, but are at the fringes of the medical community. And literally speaking, also living in the fringes of metros and major cities. I have seen and interacted with quite a few of them, mostly my seniors from college, and I am happy to have them as my role models. But it often happens that such doctors at the fringe are looked down upon by their colleagues in the metros, as being inferior. Could it somehow be possible to incentivise these people, so that they can be brought to the mainstream, and others perhaps learn from their selfless ways?? The IMA in various cities hardly caters to these set of practitioners!!! A very thought provoking article. Which ultimately boils down to the fact, that it is us who are responsible for such acts. While we form associations, we very conveniently forget our colleagues working at the fringes of society, providing succour to people, and in fact, if taken a look at closely, have a very good business model. In fact, doctors in the periphery are often looked down upon by their colleagues in the metros. I have seen and interacted with quite a few of my college seniors, specialists in their own right, who are happy working in the periphery and in fact are my role models. Perhaps it is time that the various associations that we form, looks to incentivise these practitioners and bring them out in the open, for the future doctors to see and understand. Sir, I myself am with the armed forces medical services. great article ,sir! its a nice insight for the young doctors just out of college and about to enter the profession world. sir, is it possible that the rising cutting edge competition has its toll on the professional ethics and the business sense? Sir, a great article for the newbies! Do you think that the cutting edge competition might be responsible for degrading proff. ethics and business management skills? Very very important for youth doctors.